Fuel economy figures (Worldwide Harmonised Light Vehicle Test Procedure (WLTP)) for the Jazz EX 1.3 i-VTEC Manual mpg (l/100km): Low 40.4mpg (7L/100km), Medium 51.4mpg (5.5L/100km), High 54.3mpg (5.2L/100km), Extra High 43.5mpg (6.5L/100km), Combined 47.9mpg (5.9L/100km). New European Driving Cycle (NEDC) equivalent Combined CO2 emissions: 119g/km.  The fuel consumption you achieve under real life driving conditions and CO2 produced will depend upon a number of factors including the accessories fitted after registration, variations in driving styles, weather conditions and vehicle load. Figures stated are based on a standardised test cycle and may not reflect real world driving, therefore they should be used for comparison purposes only. Customers should only compare vehicles tested to the same technical procedures. Model Shown: Jazz 1.3 EX i-VTEC Manual in Shining Grey Metallic at £18,100 On The Road (OTR). Terms and Conditions: New retail Jazz EX 1.3 i-VTEC petrol ordered from 01 April 2019 to 30 June 2019 and registered by the 30 June 2019. Subject to model and colour availability. Offers applicable at participating dealers (excluding Channel Islands) and are at the promoter’s absolute discretion. Not to be used along with any other offers currently available. 0% APR representative Honda Aspirations (PCP): Maximum customer deposit 30%. You do not have to pay the Final Payment if you return the car at the end of the agreement and you have paid all other amounts due, the vehicle is in good condition and has been serviced in accordance with the Honda service book and the maximum annual mileage has not been exceeded. Excess mileage charge includes VAT at current rate. Indemnities may be required in certain circumstances. Finance is only available to persons aged 18 or over, subject to status. All figures are correct at time of publication but may be subject to change. Honda Franchise Dealers are credit brokers, not lenders. Credit provided by Honda Finance Europe Plc. Cain Road, Bracknell, Berkshire RG12 1HL. Honda Financial Services is a trading name of Honda Finance Europe Plc. Cain Road, Bracknell, Berkshire RG12 1HL a company registered at Companies House No 03289418. Honda Finance Europe plc is authorised and regulated by the Financial Conduct Authority, Financial Services Register number 312541. 5 Years £599 Servicing: Visit here for more information. Terms and Conditions : Fuel economy figures (Worldwide Harmonised Light Vehicle Test Procedure (WLTP)) for the Jazz EX 1.3 i-VTEC Manual mpg (l/100km): Low 40.4mpg (7L/100km), Medium 51.4mpg (5.5L/100km), High 54.3mpg (5.2L/100km), Extra High 43.5mpg (6.5L/100km), Combined 47.9mpg (5.9L/100km). New European Driving Cycle (NEDC) equivalent Combined CO2 emissions: 119g/km. The fuel consumption you achieve under real life driving conditions and CO2 produced will depend upon a number of factors including the accessories fitted after registration, variations in driving styles, weather conditions and vehicle load. Figures stated are based on a standardised test cycle and may not reflect real world driving, therefore they should be used for comparison purposes only. Customers should only compare vehicles tested to the same technical procedures. Model Shown: Jazz 1.3 EX i-VTEC Manual in Shining Grey Metallic at £18,100 On The Road (OTR). Terms and Conditions: New retail Jazz EX 1.3 i-VTEC petrol ordered from 01 April 2019 to 30 June 2019 and registered by the 30 June 2019. Subject to model and colour availability. Offers applicable at participating dealers (excluding Channel Islands) and are at the promoter’s absolute discretion. Not to be used along with any other offers currently available. 0% APR representative Honda Aspirations (PCP): Maximum customer deposit 30%. You do not have to pay the Final Payment if you return the car at the end of the agreement and you have paid all other amounts due, the vehicle is in good condition and has been serviced in accordance with the Honda service book and the maximum annual mileage has not been exceeded. Excess mileage charge includes VAT at current rate. Indemnities may be required in certain circumstances. Finance is only available to persons aged 18 or over, subject to status. All figures are correct at time of publication but may be subject to change. Honda Franchise Dealers are credit brokers, not lenders. Credit provided by Honda Finance Europe Plc. Cain Road, Bracknell, Berkshire RG12 1HL. Honda Financial Services is a trading name of Honda Finance Europe Plc. Cain Road, Bracknell, Berkshire RG12 1HL a company registered at Companies House No 03289418. 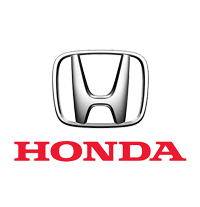 Honda Finance Europe plc is authorised and regulated by the Financial Conduct Authority, Financial Services Register number 312541. 5 Years £599 Servicing: Visit here for more information.